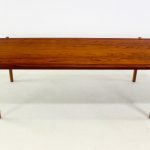 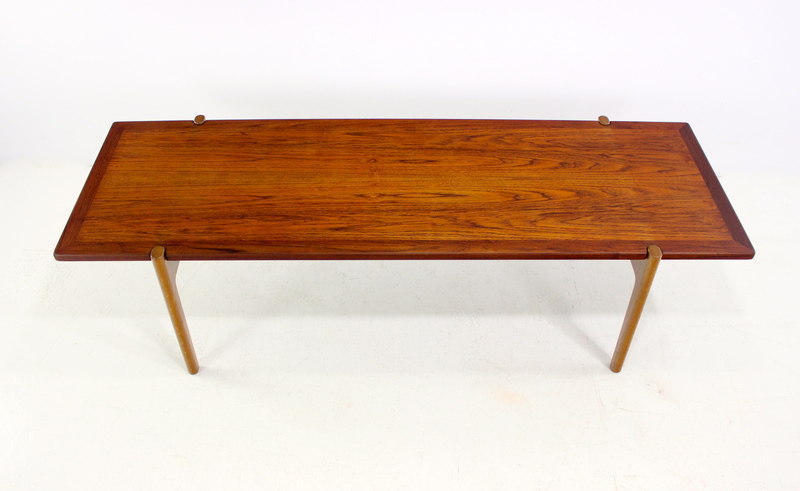 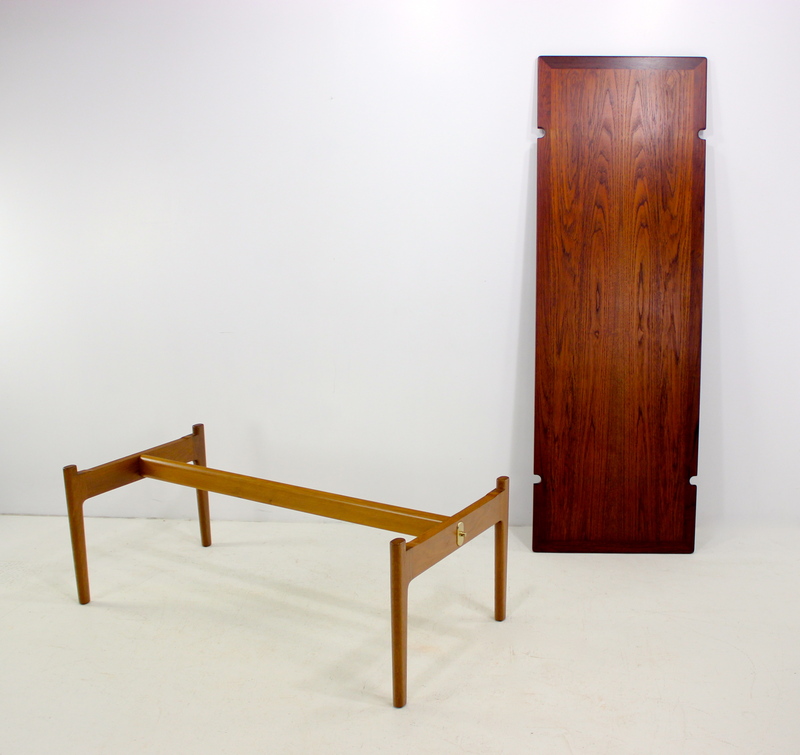 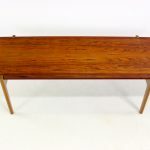 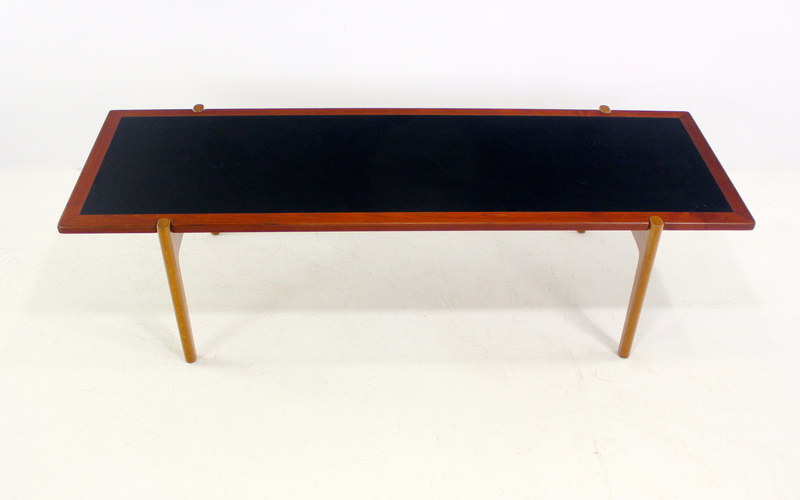 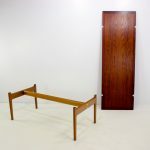 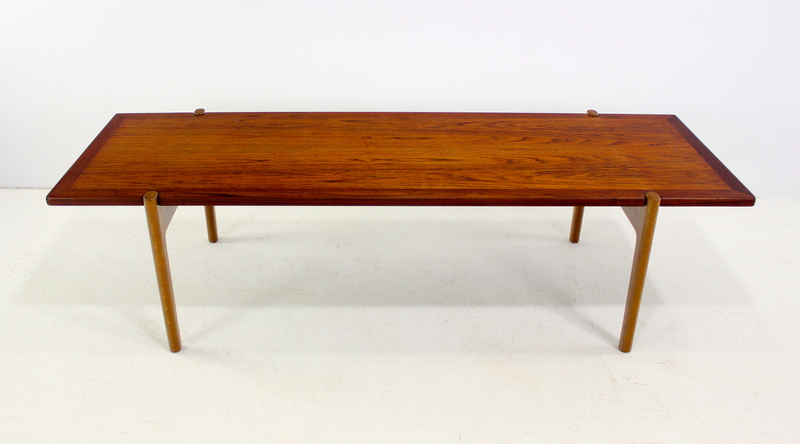 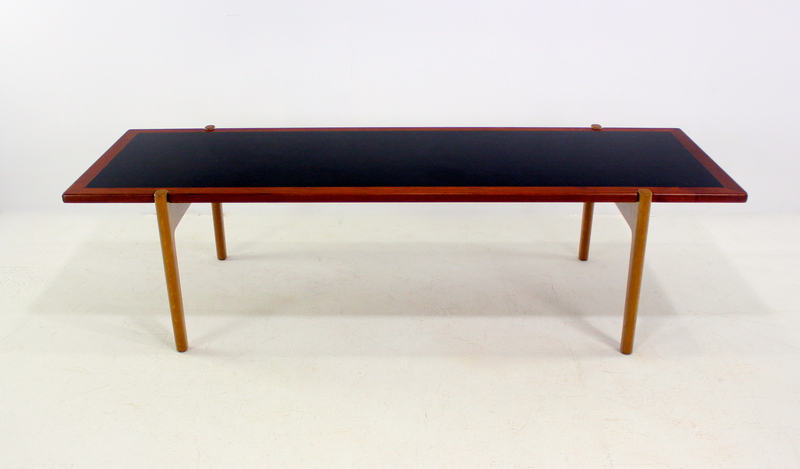 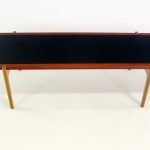 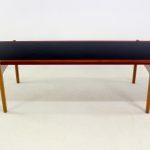 Danish modern coffee table designed by Hans Wegner. 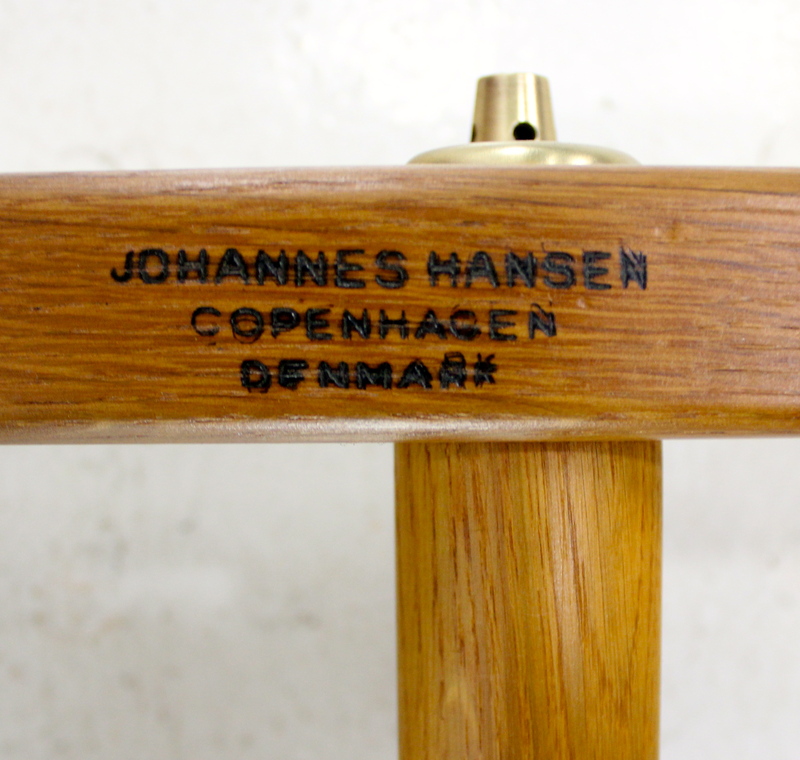 Johannes Hansen, maker. 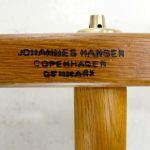 Model JH 564. 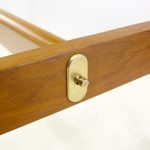 Oak base with brass hardware. 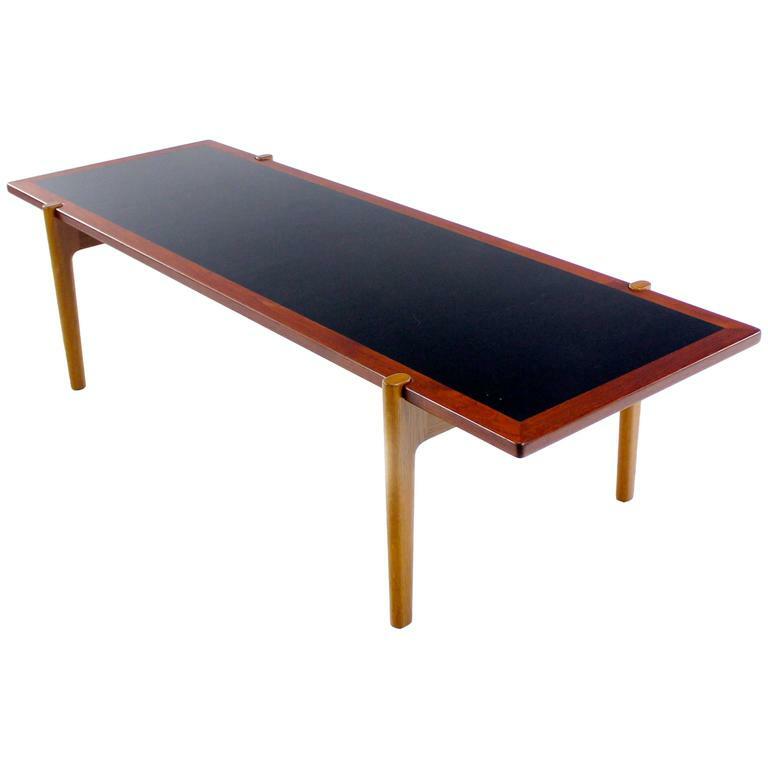 Teak top with inlay on edge, reverses to black laminate.